SO. The Table Tonic shop in Avalon (Sydney) has expanded, this poor blog has been more neglected than ever, and my eating habits were HIDEOUS. To say I've been time poor the past couple of months (years?) would be an understatement. And bread has been my special friend. So has pasta. And Allen's Snakes (aren't they the best?). For anyone feeling a little down on life, depressed even, I say this - If you're wondering what's up (and what you MIGHT be able to do about it), look at your diet. Stay away from sugar, processed foods and refined carbs. Eat more fresh vegetables. Do it for a month and see what happens. You may want to poke around the Whole30 website (I'm going to try it!). It's amazing how what we eat can affect our mood/outlook on life but IT DOES. And it's a fact. Enter Eat Fit Food. Yes, again (read about my "5 day cleanse" here). This time, I'm doing the 20 Day Overhaul. I KNOW. You can choose to do 20 consecutive days or have weekends off, weedays on (what I'm doing). 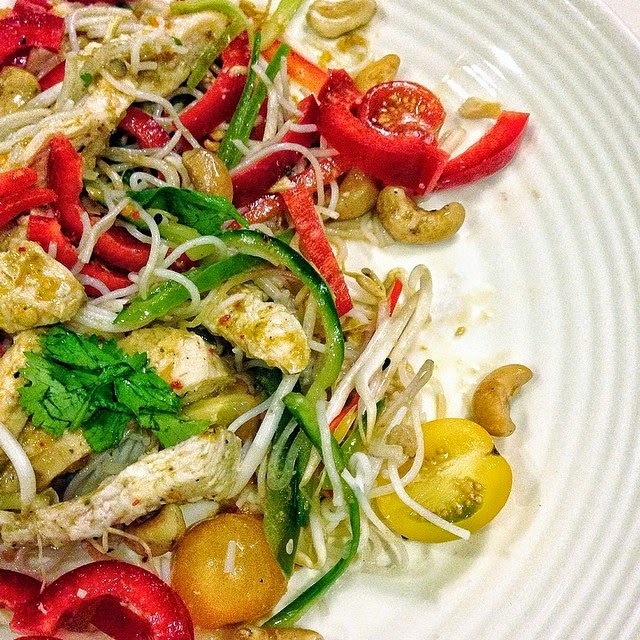 If you haven't heard of them, Eat Fit Food deliver healthy (and DELICIOUS!) meals daily to your home or office (Sydney & Melbourne) with plans to expand nationwide in the near future. Lara Bingle and delta Goodrem are fans. As is Lindy Klim (wife of swimmer Michael), whose What You See is What You Get Tumblr I am a bit obsessed with. How does it work? You order online. And everything you put in your mouth for 5, 10 or 20 days is delivered to your doorstep. You get two days worth of food/snacks at a time. It's too easy. I'm not a huge morning-eating person. So I have the pre-breakfast juice just before lunch and the mid-morning snack after dinner (when I would always reach for something naughty) with a cup of herbal tea (this one). Don't be afraid to mix up the order of things if it works for you (initially anyway). 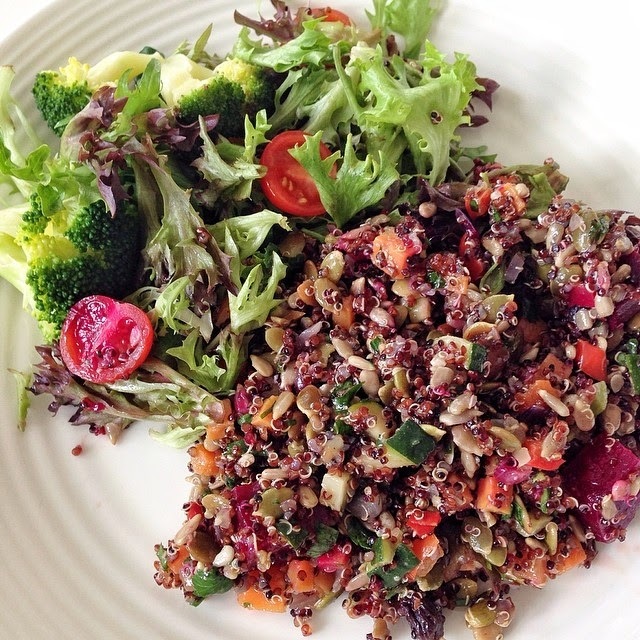 Day 1 (of 20): Lunch was a Red quinoa, beetroot & broccoli salad with sultanas, pepitas & raspberry dressing. WOW. Day 2 (of 20): Dinner was a Chicken & rice noodle salad with Cashew nuts. Took me all of 27 seconds to tip onto a plate (and almost as quick to eat!). 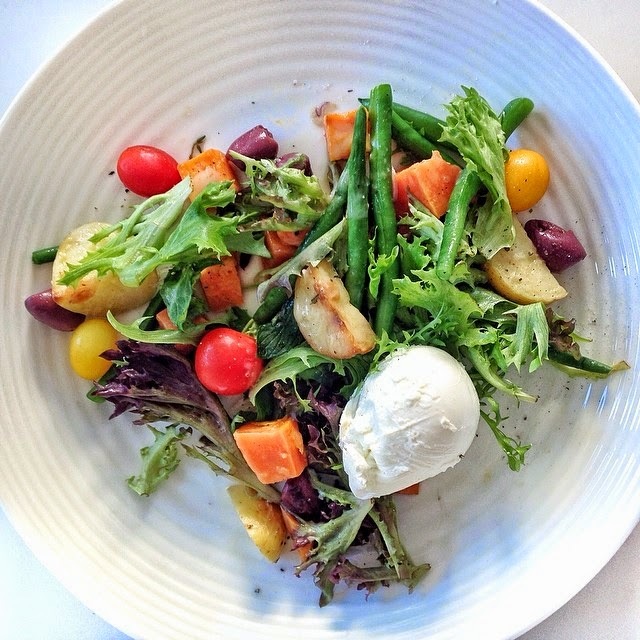 Day 3 (of 20): Lunch was a Nicoise Salad with (the welcome addition of) sweet potato. And GEEWHIZZBANGERS they know their way around a salad dressing!!! 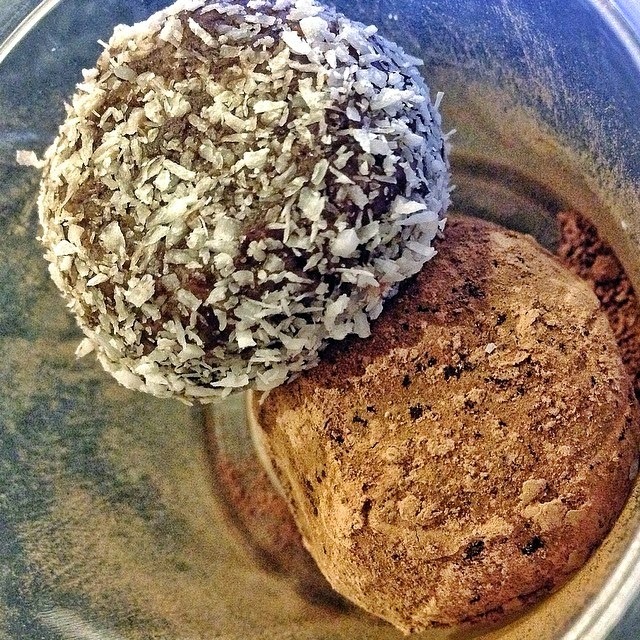 Day 4 (of 20): Powerballs! Ah-maaaazing. Day 5 (of 20): Breakfast today was a cinnamon Quinoa Porridge with almonds. Far out. Delicious. Stay tuned for Part two and visit the Eat Fit Food website for further info!